Old Les Pauls never die—they’re just reincarnated as brand-new Paul Reed Smith McCartys. The PRS McCarty was designed with—and christened in honor of—Ted McCarty, the former Gibson president and electric guitar innovator responsible for such timeless and ubiquitous designs as the Les Paul, the Flying V and Explorer, Gibson’s family of semi-hollowbodies and pretty much everything the company introduced during the Fifties and Sixties. In a nod to its namesake, the PRS McCarty derives its features and performance characteristics from the earliest solid-body Gibsons and updates them with contemporary touches. Like the Les Paul, the McCarty has a mahogany body with maple top and a glued-on mahogany neck with rosewood fretboard. The tuners are identical to those of a Les Paul Standard, and, like the earliest Gibson solidbodies, the McCarty employs and aluminum stoptail bridge with compensated grooves for better intonation. The McCarty’s vintage-style electronics center on two PAF-like humbuckers, with volume and tone controls, a three-way toggle switch and—a coil-tap circuit activated by the tone pot. The McCarty Rosewood has all the above features, but with one very important distinction: its set-neck design uses a single slap of solid rosewood instead of mahogany. According to PRS, rosewood’s tonal character maintains mahogany’s midrange whomp, while enhancing lows and highs and adding a rich sustain. Carved in a comfortably wide, fat and club like profile similar to many McCarty-era Gibson solidbodies, the rosewood neck is oil finished and features a large heal that extends to the 16th fret, adding rigidity and resonance. Its 22-fret fretboard is a separate slap of rosewood with a subtly curved 10-inch radius, jumbo fretwire with appreciably steep bevels, a graphite nut and PRS’s signature abalone bird inlays. The neck’s scale is a common 25 inches, with longer fret spacing than a vintage Gibson, which allows for better intonation. 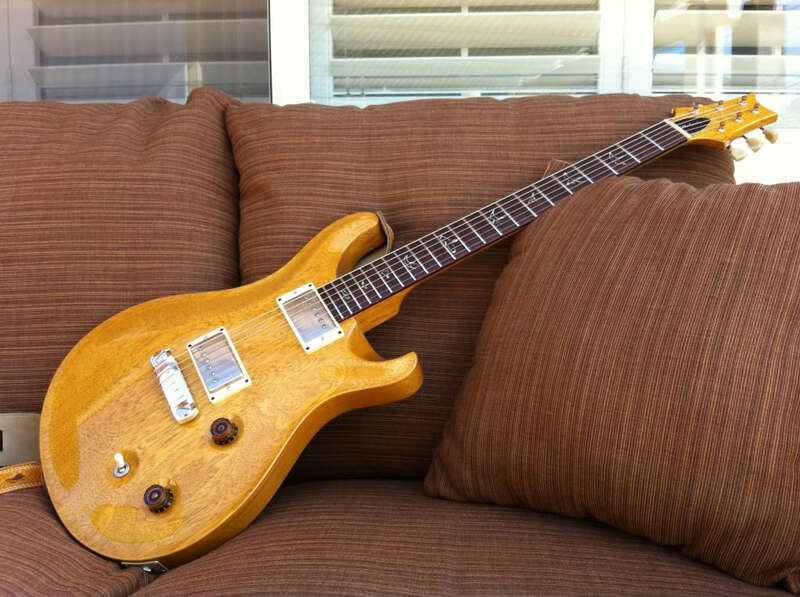 The McCarty’s classic Goldtop finish is beautiful and speaks for the guitar’s distinguished pedigree. The McCarty Rosewood was almost perfectly in tune right out of its case, rigged with a set of .009s and factory-set, middle-of-the-road action, somewhere between low and medium string high. I prefer action somewhere between low and downright buzzing, not unlike Jimmy Page (coincidentally, a McCarty owner himself), and with a slight tweak of the tailpiece studs, the McCarty was ready for business. A Marshall reissue Bluesbreaker and an early Seventies 50-watt half-stack were used for the “blast” test. The tonal difference between rosewood and mahogany necks (as compared to a reference ’93 Les Paul Standard) are subtle; nonetheless, the McCarty presented the guitar’s frequency range quite evenly. With its bridge pickup selected, the McCarty yielded chords of warmth and clarity, with a hint of the top-end and midrange wallop familiar to a Gibson solidbody. With its front pickup selected, the McCarty Rosewood delivered a lingering Santana-like sustain, while an expectedly jangly rhythm tone was summoned by using both pickups. 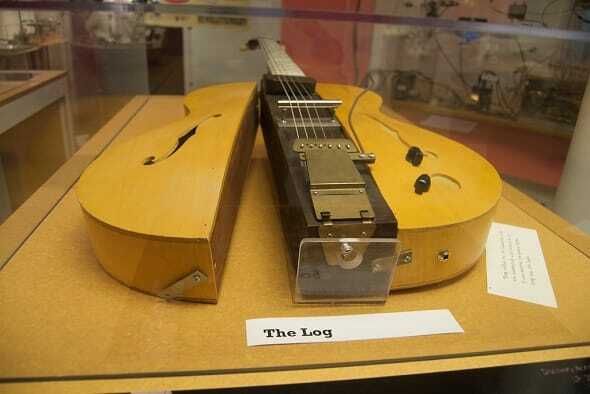 Engaging the coil-tap circuit made the humbuckers respond like single-coil pickups. In this mode, the McCarty revealed a brighter, twangier tone: plenty of bite on the bridge pickup setting and a plucky, out-of-phase tone with both pickups engaged. Diversity is definitely the McCarty’s strong suit, a terrific combination of mahogany mids and Fullerton-esque toppiness in a guitar that could be a workhorse for any player comfortable with a fixed-bridge design. 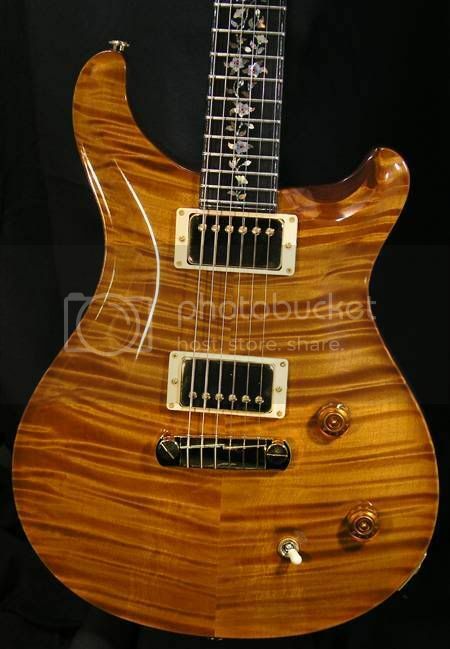 The McCarty Rosewood, like all PRS guitars, is a high-end guitar worth skipping some meals for. 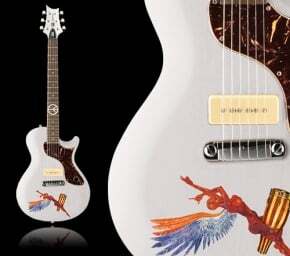 In fact, if I could own any PRS, this would be it. The McCarty Rosewood offers a superb combination of contemporary features and the classic craftsmanship for which PRS is known. Gear-Vault.com Classifieds is an eBay alternative. Come sell your used guitar and amps with us, for FREE!